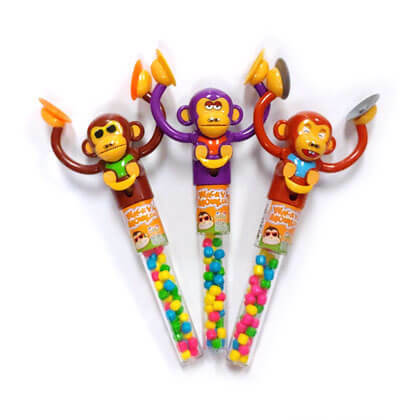 Wacky Monkey candy dispenser in clapping monkey designs. Each unit measures 8.5 inches tall to top of cymbals and contains .42 oz pressed candy. Assorted 3 count. Design will vary depending on availability.